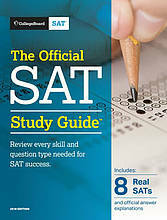 Manhattan Elite Prep's Self-Study package is designed to give self-motivated students the best materials to help them prepare for the SAT. Our goal is to give students the perfect balance between study and practice. With our help and your determination, you can get the full effect of a SAT prep course of your own design and at your own pace. Still have unanswered questions? Let one of our experts help you complete your studying.